Yao is truly unpleasant at first sight, but chink away his rude and aggressive armor, and you'll find that he is quite the softie at heart, regardless of how many brawls he has participated in. His short-temper often lands him and his friends in trouble, but he will stop at nothing to become a soldier worthy of saving China. The women who will inevitably be drawn to him is an added bonus too. 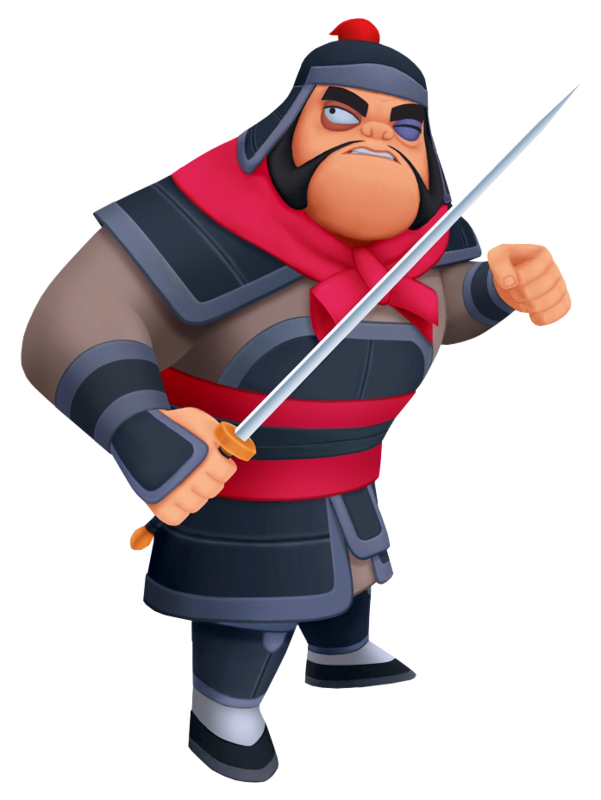 Yao has gained a deep respect for Mulan, Sora and his friends, and is often seen patrolling around the mountain village to live up to his soldier status.